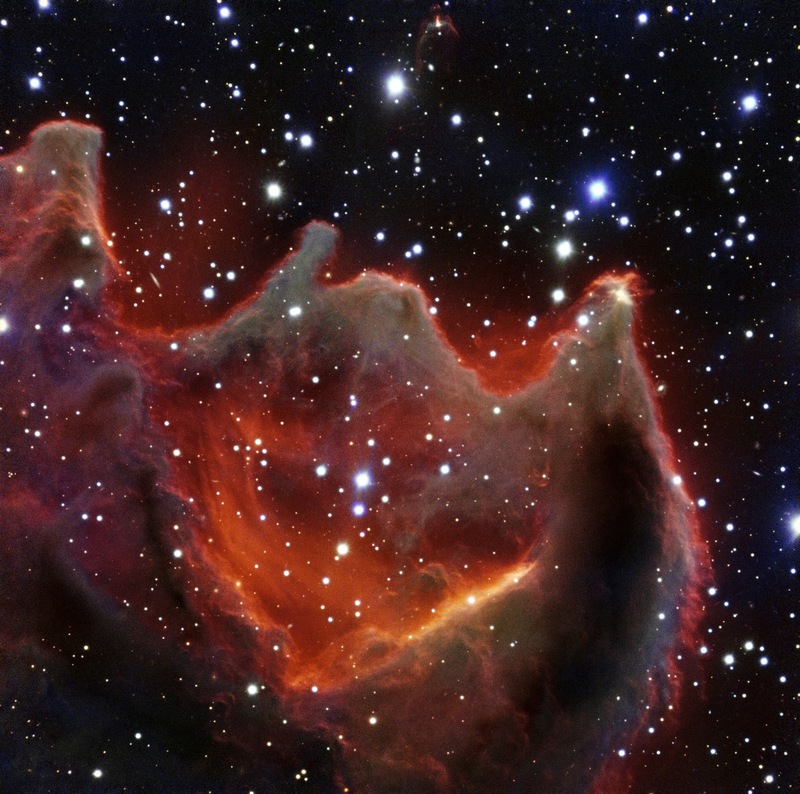 Like the gaping mouth of a gigantic celestial creature, the cometary globule CG4 glows menacingly in this image from ESO’s Very Large Telescope. Although it looks huge and bright in this image it is actually a faint nebula and not easy to observe. The exact nature of CG4 remains a mystery.